The most powerful heavy duty flat type turning machine equipped with four box guide ways among equivalent models. 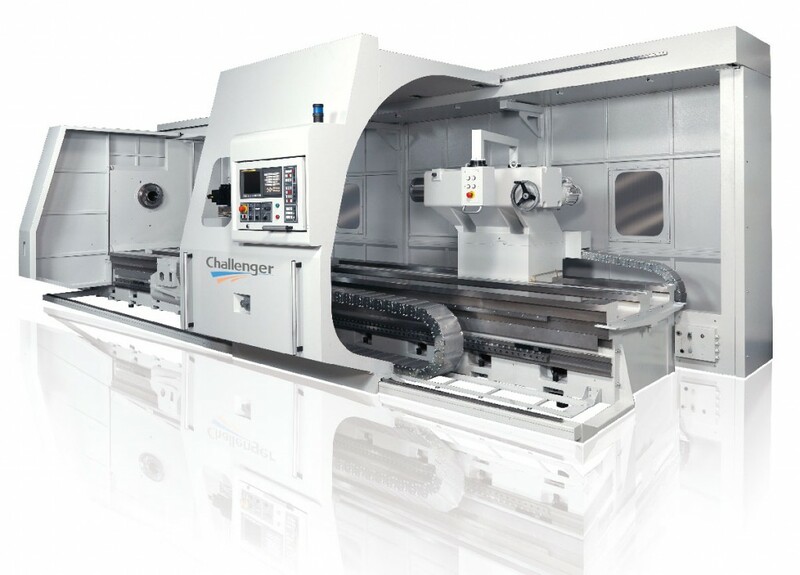 Capable to machine work pieces in large diameter by two-step gear box type spindle (Motor power: 75kw, Max. torque: 12,259 Nm) Max. machining length 12m by one-piece bed.